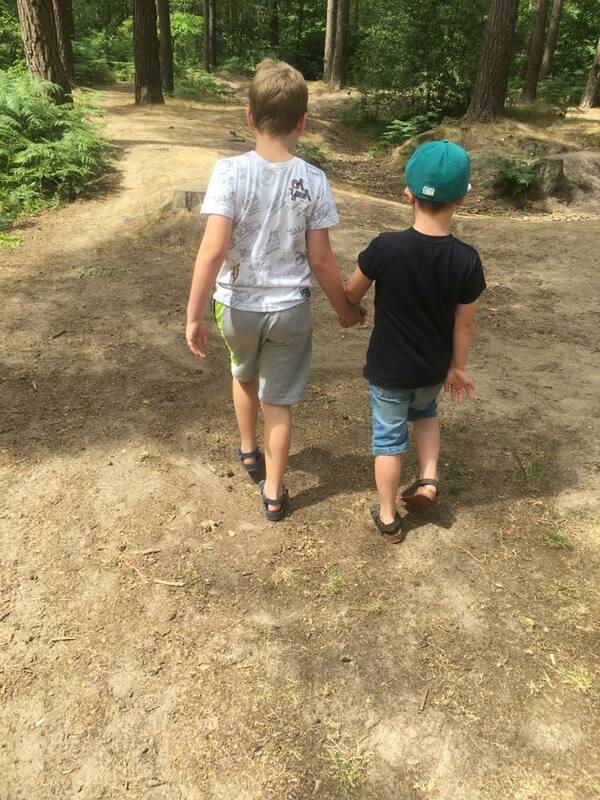 Mum of Five Staying Sane: Our TOP 5 TIPS on days out or activities to do over the summer with the children. Our TOP 5 TIPS on days out or activities to do over the summer with the children. 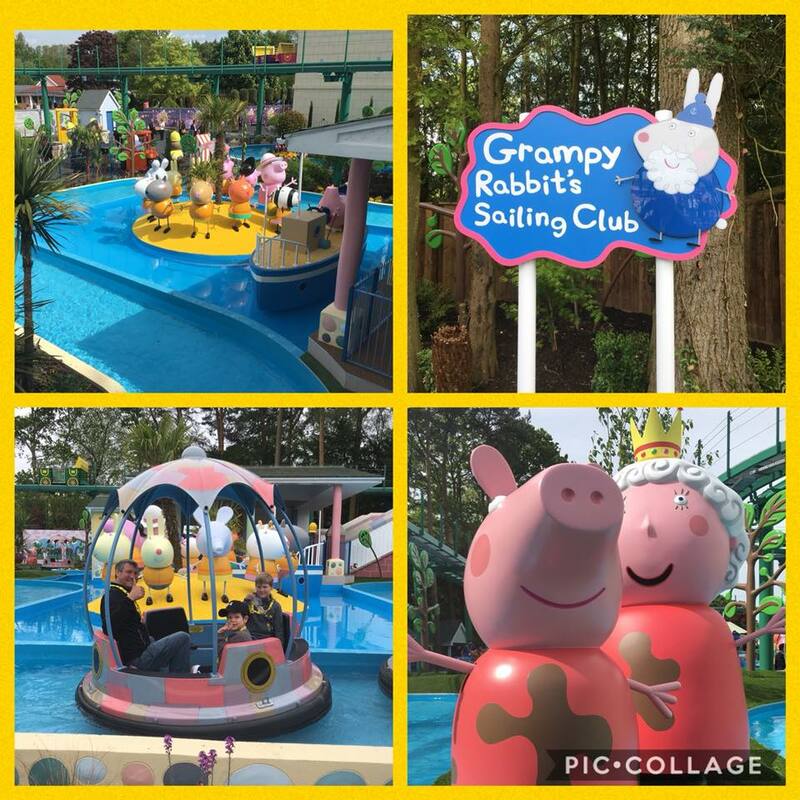 As a parent we are responsible for keeping the children entertained throughout the Summer holidays. Six weeks is a long time to keep them entertained every single minute of the day and not a pressure you should give to yourselves. Here are my top 5 tips for surviving the Summer holidays and things to do. 1. Days out are great but can be expensive and costs can mount up quickly. Look out for days out deals like buy one get one free entry tickets or early booking discounts if you book online. Also check out local amenities too. Our local swimming pool is doing kids swim for £1 if you signed up for a swimming pass. 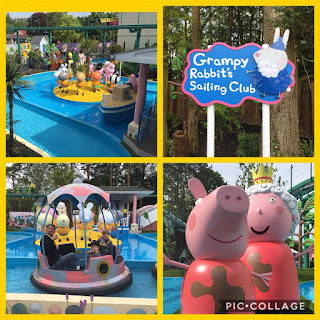 Check out reviews online before you go like our recent visit to Paultons Park Peppa Pig World. Will the children enjoy the day? 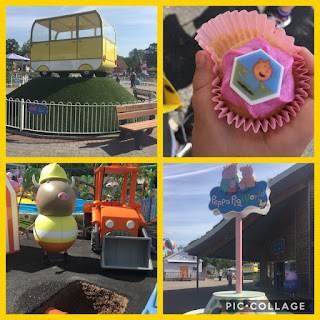 Is there rides appropriate to the age of your children? Remember parks and resorts will be busy so make sure you are well prepared for your day out. 2. Play dates. More children in the house might seem like a nightmare but having friends over to play can be a real treat. Either invite them over and hope the invitation for your children to go over there one day will be returned or invite the children and their parents and enjoy a sit down, coffee and a natter whilst the children play. There is nothing worse than sometimes thinking that all you've done all week is look after your children and not seen another adult so don't feel bad about sitting and having a coffee whilst the children play/run riot. 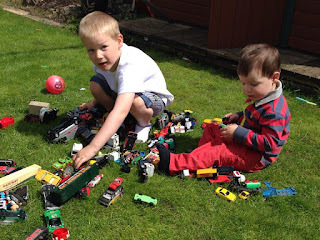 Play dates and the lovely weather we are having means you can get the toys out in the garden. 3. Explore the outdoors and find new places to visit. 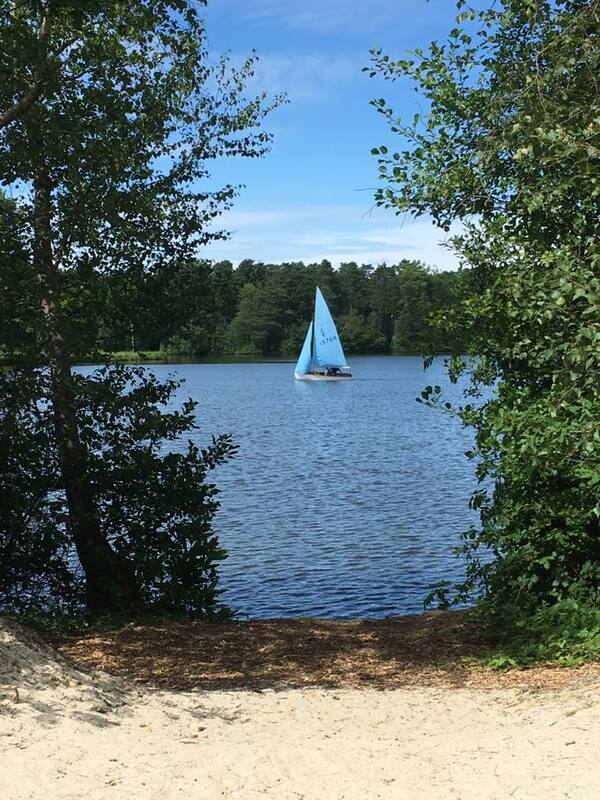 We are lucky to live right next door to a huge woodland area and a few years ago we found 'the beach' hidden inside. 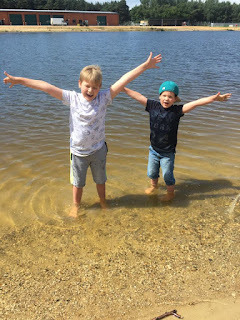 There is a huge lake to walk around and lots of hidden areas to play and explore but my younger 2 loved to go to the beach and play in the sand. Living right next door to it means we can visit as many times as we like and it's free. We just pack up a bag of play stuff, a blanket and some drinks and head over for a couple of hours play. Ideal if you've been in the house all day or having nothing particular planned. Local parks are always good to visit too. Take a picnic or just let them run off their excess energy. Our local woods is a great place to explore. Here are the 2 younger Things at their favourite 'beach' spot. 4. Craft days/baking days. Don't feel that you have to get them out of the house every single day. Although we have been very lucky with the weather which has meant days out have been easy to do it can also get too much. Some days the heat has been overwhelming and going on a full day out with the kids when it's that hot can also ruin the day. Craft days/baking days are a great way to pass the time. You don't always have to have a plan in place either. 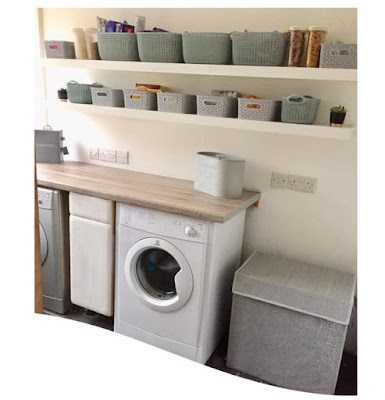 Take the children to the shops to choose various craft supplies and either just have a free for all crafting session or look on Pinterest for hundreds of craft ideas. Baking is also fun and you then get to eat the end result! from flapjacks to cupcakes or why not get them involved in choosing and cooking a dish for dinnertime? Homemade pizzas are a great idea. 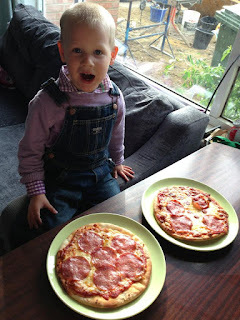 The children can choose their toppings and then they have their dinner already made for that evening. 5. Most importantly, relax! Easier said than done but don't feel pressured to fill every day with days out, organised activities and things to do. Don't feel guilty if one day they just play at home with toys or they spend a bit too long on their gadgets and games consoles. Have a PJ day, movie day and eat junk food once in a while. Summer holidays are for memories and the children will remember the impromptu duvet day with movies and snacks just as much as the days out. Movie day/night can be fun. 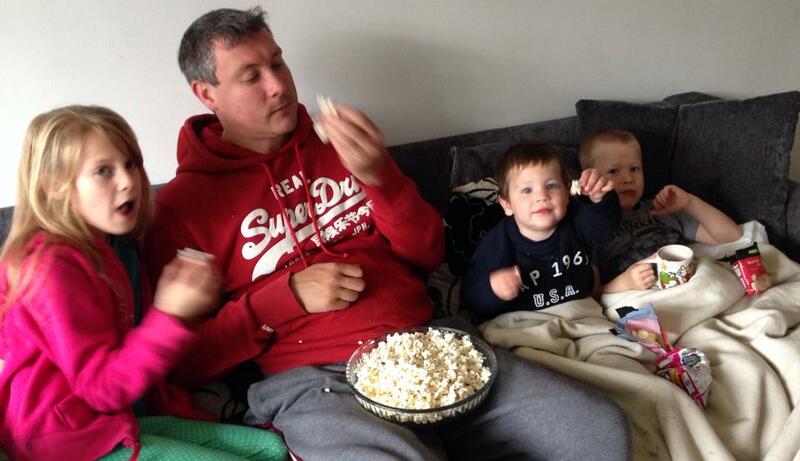 Popcorn, sweets and a good DVD for the children. Dad loves to join in too! Have you been out and about every day so far? Have you relaxed a bit too? Have the children exclaimed 'I'm bored' yet? Let me know what you have been up to in the comments below.